Are you looking for a fun and easy way to keep your children active? 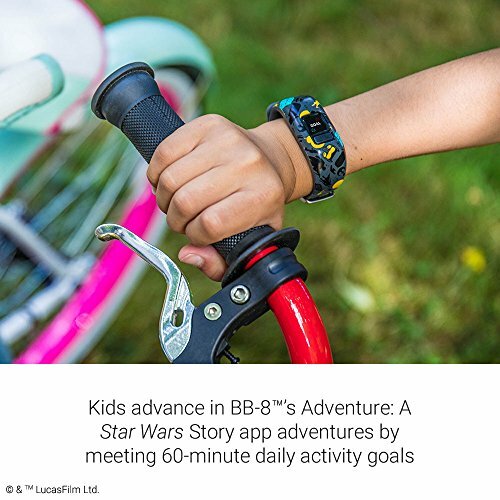 If so, you’ll be interested to learn what the best fitness tracker for kids has to offer. 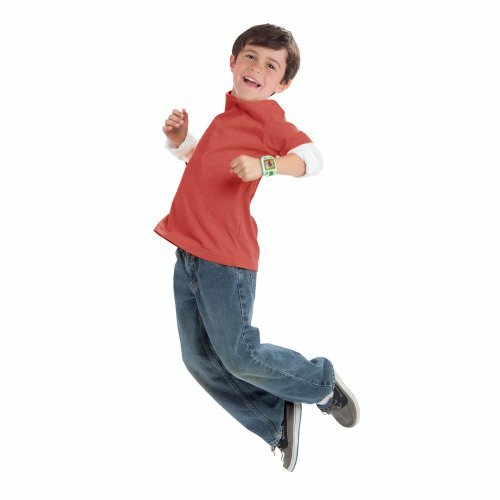 I recommend the LeapFrog LeapBand as the number one pick. It’s equipped with high-tech activity tracking features which are available at an affordable price. When it comes to fitness trackers, we tend to associate them with adults who are trying to get fitter. However, the research shows us that a sizable chunk of the population among children is overweight. You may be surprised to find how effective activity trackers can be at keeping kids healthy. 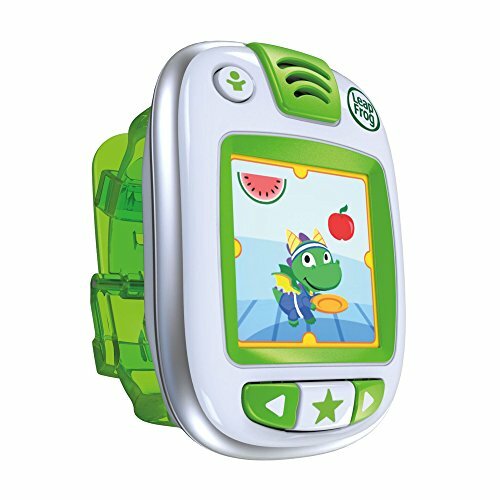 This Leapfrog Leapband is equipped with some fantastic motion tracking technology. A lot of the technology that’s inside this fitness tracker is available among many of the more expensive options for adults. It works effectively to track the movement of your child whenever they’re wearing it. However, it doesn’t show them the statistics, such as the calories they’ve burned, or distance travelled. Instead, it creates challenges which are aimed to be fun. Kids are able to choose between a total of 50 different challenges which encourage movement. It also has a great reward system that children have been loving. There’s a bar located at the top of the screen which shows you the progress of your activity. Along the way, you get to unlock new rewards. This was one of the features that made the Leapfrog Leapband my number one choice. Kids are encouraged to exercise by playing games and having fun. So, they’re more likely to stick with it! I was impressed by the way that they’ve designed the Leapfrog Leapband. It’s available in a variety of colors, including green, blue, and pink. The band is colored and easy to put on and take off. Not to mention, the screen is colorful and bright, which kids are liking. With numerous buttons available, navigating your way through this activity tracker is a breeze. It was made to be simple for younger kids to be able to use with no hassle. There are parental control setting available with the Leapfrog Leapband. This enables you to easily set various challenges and playing times. Parents like being able to ensure their children are getting enough activity for the day – and the parental control lets you do exactly that. 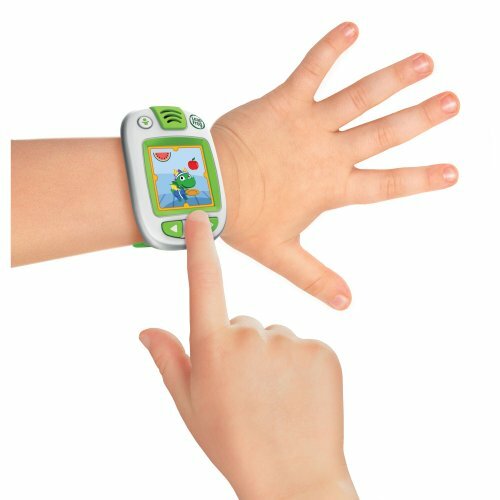 The VTech Kidizoom Smartwatch comes with a ton of activity challenges. As you move around, you’re able to complete levels of a wide range of games. Moreover, this one emits sound effects for certain challenges as you move around. Children find this entertaining and have fun being active, which is incredibly effective. If being active begins to feel like a chore, they’ll be less likely to do it. Moreover, they’ve incorporated a pedometer into this activity tracker. As a result, it’s able to accurately track movement. To help kids learn while being active, there are various puzzles and games available. They are excellent at helping your child to figure out various puzzles to help their cognitive function. Many parents have appreciated these extra efforts. I was surprised to discover that this activity tracker is equipped with a calendar, timer, and alarm. This is another learning aspect that they’ve implemented. It has shown to be effective at helping children to grasp a better idea of the concept of time. To keep things fun while doing so, there are over 55 different faces available to choose from. The two cameras that come with this activity tracker also took by surprise. There’s one camera at the back for regular photos, as well as one on the front for selfies. Kids are able to create fun pictures by editing them with filters, stamps, frames, and effects, with the help of being connected to a smartphone. The USB cable that they include allows children to easily upload pictures on and off of computers/laptops too. 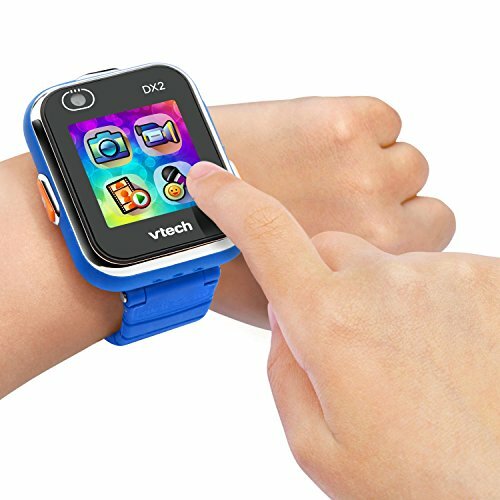 If your kid is often playing outdoors, you’ll be glad to hear that the Vtech Kidizoom Smartwatch is splash proof. While it isn’t completely waterproof and cannot be used for swimming, it is effective at resisting minor water damage. When using this smartwatch very consistently, you can expect to get at least two days out of it before the battery dies. Users have been impressed with this battery life. The rechargeable feature is what makes the battery so appealing. When it runs out, you simply use the USB cable to plug it into an adapter or laptop to charge. This saves any hassle and cost of having to purchase new batteries. If your kid likes to swim, the Garmin Vivofit Jr. 2 could be what you’ve been looking for. One of the most outstanding features that drew me towards the Garmin Vivofit Jr. 2 is that it’s waterproof. Therefore, I recommend this one highly if you’re buying the activity tracker for kids who enjoy swimming. I liked how you can easily sync the Garmin Vivofit Jr. 2 to apps on your smartphone. This gives parents the ability to have a little control over their children’s activity. One of the favourite features that parents have been making use of is the chore management system. It lets you create chores which show up on the activity tracker. As your child goes around completing the chores, they earn rewards along the way. You can also set schedule alerts which will pop up on the activity tracker too. moreover, you can add multiple people to a daily activity planner. So, if you have multiple children, you can get them all on board with activities in one place. These are all features that parents have been finding very handy. The Garmin Vivofit Jr. 2 is great at accurately tracking the number of steps taken and the quality of sleep. Furthermore, it’s also useful for ensuring that you get at least an hour of activity everyday. This is a great system that ensures kids will be less likely to slack off from doing activity. One complaint that I’ve seen among many parents when trying to find activity trackers for their kids is that they often break too easily. Well, this one is built to last. The band is stretchy and feels very durable to wear and tear. There is a range of different colors themes that children can opt for. Some of the most popular themes that kids are loving include Minnie Mouse, Star Wars, and Avengers. This activity tracker comes with a battery that has a life of over a year. That means recharging it isn’t something that you need to think about for a long time. 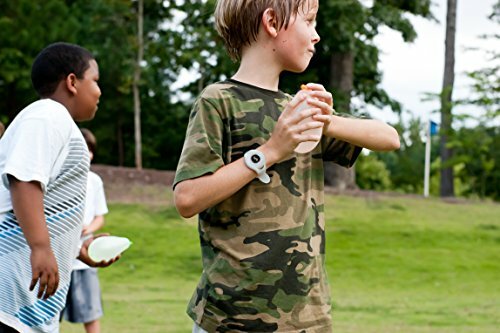 The Sqord Activity Tracker features are great at picking up all the movement that children partake in. There are numerous games available which make staying active fun. Kids are able to compete and earn points every day. The more active they are, the more rewards they receive. These games help to encourage activity in a fun way. As a result, children are more likely to remain active and healthier. I liked how it has been certified to be completely safe for kids. It has a system which means that there’s no chances of open chats. Therefore, any risks of cyber bullying are kept to a minimum. Not to mention, it eliminates the risk of encountering strangers. Parents are also given a peace of mind in knowing that they have complete control over their child’s account. 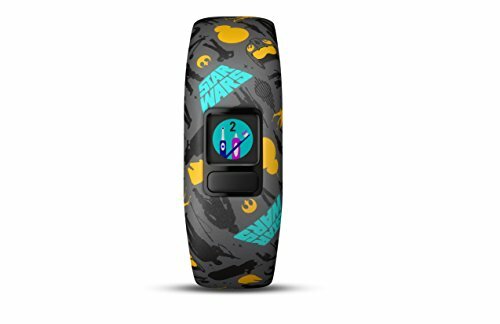 If you’re interested in purchasing an activity tracker for children who like to swim, this may be a good choice. 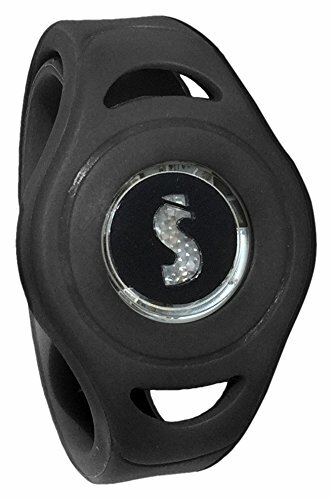 It’s completely waterproof and can even track the activity of children as they swim. The battery life available with the Sqord Activity Tracker is remarkable. It can last a total of nine months without needing a single charge. So, you can be sure to use it for a long time without the hassle of frequently charging it all the time. Kids being overweight is a real problem that’s seriously affecting lives. 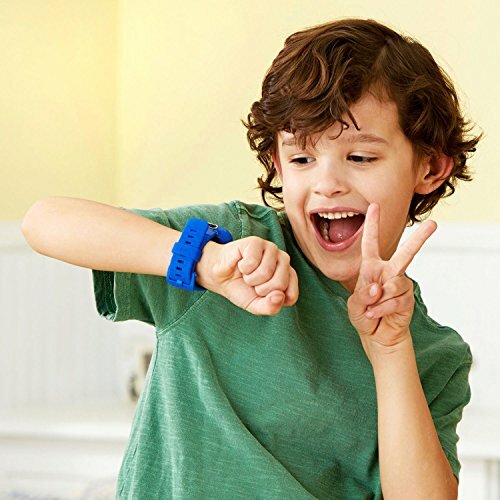 So, get ahead of the game and introduce your kids to daily activity with activity trackers. I especially like the LeapFrog LeapBand for helping kids exercise without it feeling like a chore. The aspect about these activity trackers that I like the most is that they’re fun. Kids won’t feel like they’re being forced to do something, so, they’ll want to be more active. If you’re interested in Fitbit’s for kids, check out our review here to find the best one.